The Government of Jalisco, México, through the State Institute for the Elderly (IJAM, in Spanish), celebrates Guadalajara has been the first municipality of the metropolitan area to attend the invitation to be able to form a friendly metropolis with our seniors, from the guidelines proposed by the World Health Organization. We recognize the full willingness and leadership of the Municipal President, Mr. Ramiro Hernández García, to make this commitment a reality. In accordance with the last census of population and housing, 2010, in Guadalajara live 178,100 people over the age of 60, accounting for 49.5 percent of all seniors who reside in the metropolitan area as a whole. Guadalajara is also the municipality that has highest rate of aging across the State: while in Jalisco there are 31 people over 65 for every 100 children under age 18, in Guadalajara this ratio is 50 seniors for every 100 children. Demographic ageing is not something that will happen in fifteen years here; it’s a reality that we reached. What follows is listen to the voice of older adults, their experience of the city, needs, and the solutions proposed for the problems that coexist in their everyday life. This query will start in February and conclude it in March. This consultation will take place through focus groups, surveys in seven urban sub-districts of Guadalajara, through an internet portal and the use of virtual social networks, and in public squares in the city. 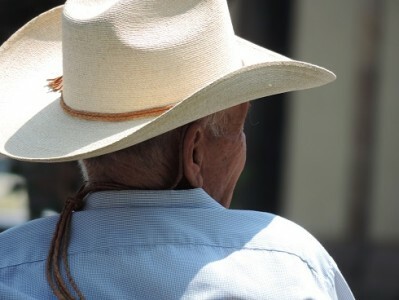 The aim is to point us the path to follow toward the full friendliness of Guadalajara with their elders.